Brake Bias Valve on a 90? 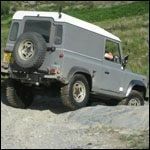 My defender 300tdi, 90, has terrible braking. I'm in the midst of renewing the whole system. Before I owned it the previous owner replaced the brake calipers. I have since re-bled the system and completely renewed the brake pipes etc. I am now replacing master cyclinder and servo, and then finally the pump. 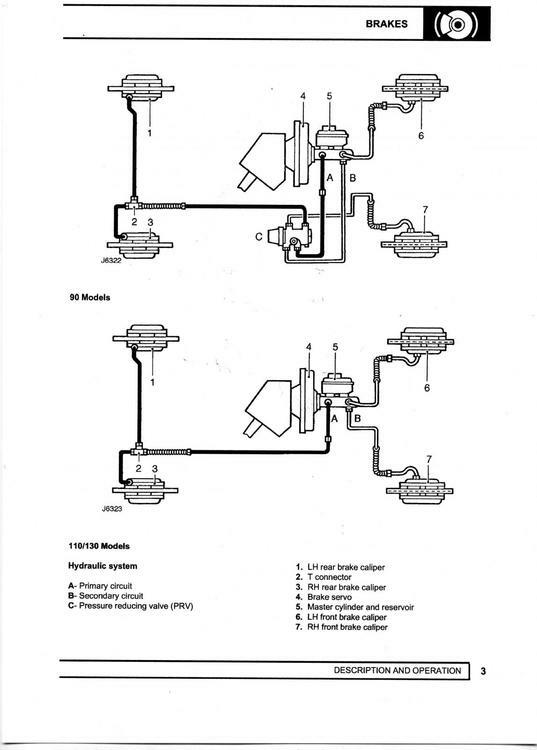 The system has a brake bias valve which I had left in when renewing the system, but am wondering if this is necessary? Was this added or is it part of the original system? My 86 90 has a the bias on the right hand front chassis leg, this is to take into account for having rear drum brakes see Link - I'm guessing you have disc's all around? Discs all round- the smaller ones on the back, bigger ones on the front. By the way vehicle is late 1995. I think 90s had bias valves until rationalisation in 1991, but then they were removed after that and reverted to the 110 system of no valve? My 1995 300tdi 90 & my son in law's 1996 300tdi 90 both have them. Looking on Rave they are shown for the 90, but not for 110 & 130. 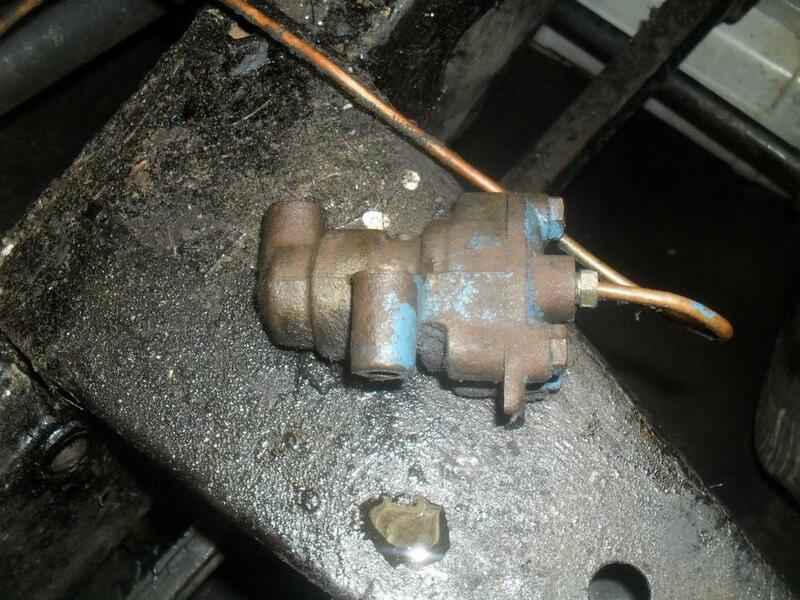 Ah yes, it was the PDWA (brake fail) valve that was removed in 1991. G-valves continued on SWB models, just checked my 90 (1992) and it has one. The 110 (1993) does not. So if it's a 90 I'd fit it, as per standard spec. Hmm so it was always there.. Could this be the culprit in performance? How do you define terrible breaking? - G-valve = duff, then your back end would lock up. Master cyclinder on it way out = no breaking effort until the peddal is pretty much on the floor. (this is due to the front piston seal bi-passing (due to failure) and the secondary piston (usually for the rear wheels) taking up the slack.... for example. I can't tell any difference between front and back, mostly becuase I can't get the brakes to lock up at all when moving. I have to push VERY hard to make it stop in a tight spot, which makes me very nervous- hence wanting to fix it! It just feels like there is no assistance at all, so I suspect the servo/pump primarily, but got a master cylinder for cheap so thought I should renew the whole system. Might leave the brake bias valve then by the sounds of it! Sounds very much like vac pump, non return valve and servo are tired. I have just been through this myself. I'm in the process of rebuilding my 1988 90 and can't find a bias valve in my pile of parts that I took of it when stripping it! I notice that it seems to be only 90's with discs all round mine has drums on the back should I have one? I thought the brake biasing was internal to the main brake sevo/master cylinder housing on all defenders? If you are talking about the PDWA then my 110 definately has one. It is on page 493 of the parts manual. I cannot get my 110 to stop locking the rear wheels. I was just putting it down to not having enough weight on the rear end and too much on the front (whinch etc) combined with MTs. I have been looking into fitting an adjustable brake bias valve to correct this. After taking the body off my chassis and looking at the brake piping I see that I have a brake bias valve (defender 90 1990) on the chassis under the servo. It looks like the ball valve type and could be adjusted by levelling it out a bit as it is nose up on the bracket. That is a G Valve, it isn't entirely effective at stopping rear wheel lock up when doing a rear disk conversion on a 90. It relies on closing a valve seat with a ball when braking. I am in the same boat as C18RCH in that the rears on my 110 are locking far too easily. On the MOT brake test all 4 wheels had identical power on the meter (as in to the kg the same). So lenty of stopping power, just no built in bias to the front makes for exciting stops downhill or on damp roads/gravel. Any ideas for a reliable brake bias setup? 300tdi disc braked 110's don't have a bias or PR valve, only 90 has the pressure reducing valve i haven'y noticed any unwanted rear brake lock up since my rear disc conversion on my '89 110CSW. There is a pressure reducing valve which I've seen plumbed into Discovery 1 rear single line brakes which I think may be effective- its a genuine LR part and I think the part number is in the other thread linked earlier. On mine 110 front calipers, the G valve and Lockheed pads on the rear gave me what tests and feels safe and stable but I think some form of pressure reducing valve in the rear would be my next approach. as it's a hardtop then yes, it'll be the lack of weight which would allow the rears to lock up first, might be a faulty PR valve that's allowing the rears to lock. not sure what is inside the PRV. The only thing in the circuit on mine is the PDWA valve, which is purely passive and serves no function other than to light a warning light if you lose pressure to either the front or the rear circuits. same as my 110, you could mod the piping to delete that or retain it & add the later PRV, LR rationalsed the brake system parts in 1991 when 90/110 became Defender 90 & 110.
it gives a note in defender workshop manual to the effect the some 110 models have the PRV depending on local legal requirements. so adding one [if not fitted] should fairly easy with new pipes off the shelf or made up.